Replace fat and salty food with homemade humus. Turkey is a good source of protein and contains amino acids. Control your diet by balancing the kind of food you consume. Dozing off in front of the television or feeling bloated following Christmas Dinner is not something anyone appreciates. Neither is it fun to snub everything that you are offered at a Christmas party. But, if you can't stop drooling over all the beautiful colors on the dinner table, here are some healthy ones you should try at your private Christmas party. Replace fat and salty food with homemade humus of beetroot dip and a bowl of raw nuts. Turkey is a good source of protein and contains amino acids. It helps to drive one’s mood by moderating the happy hormone serotonin. Avoid eating roasted turkey, especially one that has been roasted traditionally. If turkey is in the menu, choose light meat to enable lesser intake of fats. Avoid consuming the skin. 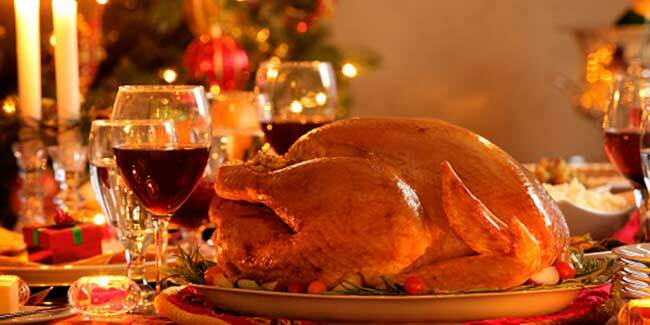 Traditional Christmas meal includes meat, which you can replace by eating vegetables. Must you eat meat, take half of the original quantity and balance it with vegetables. Dark green leafy vegetables are in this season; steam them before serving. 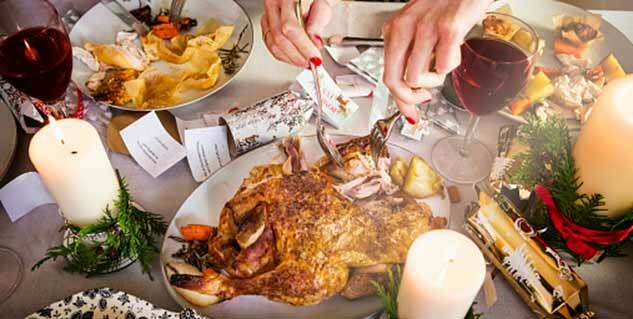 Christmas dinner is laden with unhealthy sugars and fats, but you can reduce the size of these by consuming less. Replace the unhealthy sauces with good and healthy oil. Drinks are a major part of any Christmas party, but what you must ensure is that you raise a healthy flag for not only yourself but also all the guests. Include lots of non-alcoholic drinks. Fresh fruit juice, almond nog, milk shakes, etc can be spread out in the drinks section for those not willing to consume alcohol. Do not forget to include water because however large quantity of alcoholic and non-alcoholic drinks you may have, water completes the list. Remember not to overeat at the party. Control your diet by balancing the kind of food you consume.